Short Bytes: In the wake of increasing security threats and password leaks, Google is working on Project Abacus that will introduce Trust API in Android devices. This API will calculate your Trust Score and use them to give you access to various services. This score will be calculated by using a variety of user patterns. Are you tired of entering usernames and passwords on you Android device? To replace these conventional passwords and introduce with an extra layer of security, Google has announced the development Trust API. 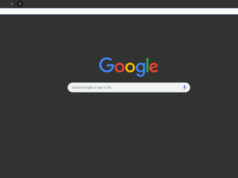 During its I/O developer conference last week, Google shared its plans to use ‘Trust Score’ that uses various user patterns — typing pattern, speech and voice pattern, location, facial recognition — to determine a user’s legitimacy. This will ensure that an attacker won’t be able to access your accounts even after knowing your password. The tech giant intends to introduce the use of a variety of biometrics data, that will be used to calculate your Trust Score, to make the two-factor verification method more secure. A combination of PINs and biometric data is already being used in the corporate environment. 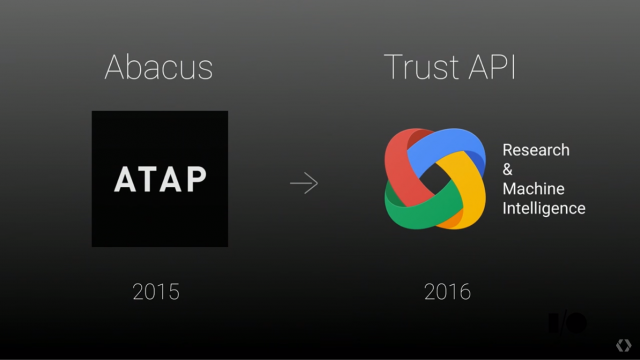 Google Trust API plans to make such systems even more secure. This initiative is moving forward under the name Project Abacus that was teased at last year’s Google I/O. Google intends to run Project Abacus in the background of your devices and collect data about you to calculate your Trust Score. 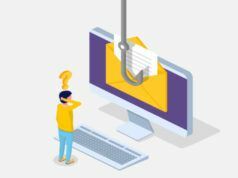 While accessing a service, if your Trust Score isn’t high enough, you might be asked for more information and passwords. “Assuming it goes well, this should become available to every Android developer around the world by the end of the year,” Dan Kaufman, head of ATAP at Google, said at I/O. It’s expected that the first wave of trials will take place with banks and it’ll be later available to Android developers by the end of the year. Learn how to code the new game-changing Android app!